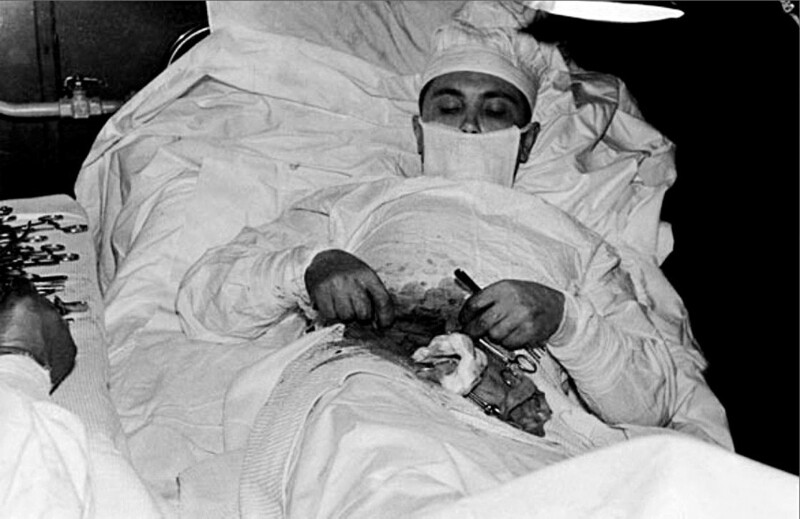 Dr. Leonid Rogozov operating himself to remove his appendix. Doctor Leonid Rogozov managed to successfully perform an unbelievable surgical operation to extract his own appendix at the Soviet station in the Antarctic. Becoming a national hero, Rogozov was even compared to Gagarin, who made his famous flight almost at the same time. 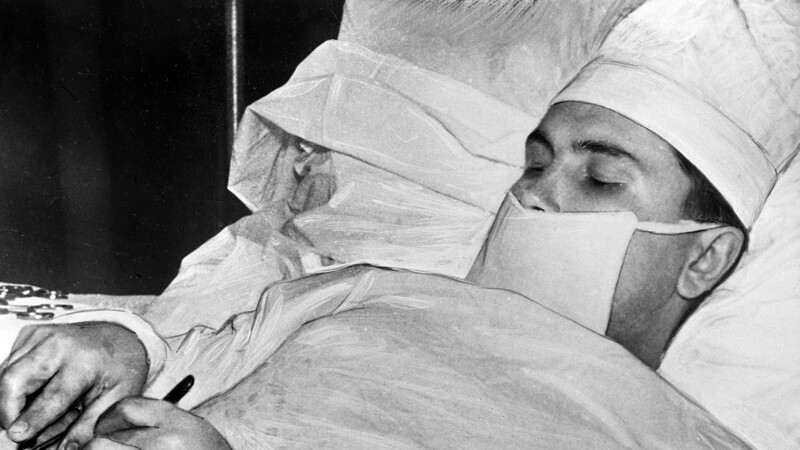 Believe it or not, Soviet doctor Leonid Rogozov’s self-surgery to remove his own appendix was not a one-of-a-kind operation. Already in 1921, American surgeon Dr. Evan O’Neill Kane had performed an experiment during which he cut out his own appendix and sewed himself up. The difference between his and Rogozov’s cases was that the Soviet doctor wasn’t in a comfortable operating room surrounded by a team of professional surgeons ready to help him if something went wrong. He didn’t do it for the sake of science, but to stay alive. In 1960, the young 27-year-old surgeon Leonid Rogozov joined the 6th Soviet Antarctic expedition and moved to the Antarctic. The following year he began working as a doctor at the newly opened Novolazarevskaya Station. On April 29, 1961, Leonid Rogozov fell ill: weakness, nausea, elevated temperature and pain in the right iliac region. Rogozov instantly diagnosed himself: acute appendicitis. The problem was that he was the only doctor at the station. Besides, he couldn’t be transported away – there were no aircraft at the nearby stations. In any case, the bad weather ruled out flying. A complication in the form of peritonitis could kill him, which is why Rogozov had to act fast. As his son Vladislav said, his father was teetering between life and death, he couldn’t get help and had to operate on himself. "He had to open his own abdomen to take his intestines out," Vladislav recalled. "He didn't know if that was humanly possible." On April 30 the surgery started. Leonid was assisted by meteorologist Alexander Artemyev, who helped with the medical instruments, and mechanical engineer Zinovy Teplinsky, who held a mirror and a lamp. Rogozov was in semi-lying position on the left side. After injecting a local anesthesia with Novocain, he made a 12 cm incision in the right iliac region. Partly with a help of the mirror and partly by touch, he started to search for his appendix. The sight of Leonid Rogozov searching for the appendix in his guts almost caused his assistants to faint. Station head Vladislav Gerbovich, who also attended the surgery, recalled that the two assistants were whiter than a sheet, but made great efforts to stay calm. 30-40 minutes after the surgery began, Rogozov felt very weak and dizzy, forcing him to make small breaks – every 5-10 seconds each 5 minutes. The doctor tried to stay calm and collected during the whole process. Still, the final part almost cut Rogozov’s tolerance. "Finally here it is, the cursed appendage! With horror I notice the dark stain at its base. That means just a day longer and it would have burst… My heart seized up and noticeably slowed, my hands felt like rubber. Well, I thought, it's going to end badly and all that was left was removing the appendix," he recalled. The surgery took 1 hour 45 minutes in total, and ended successfully. In 5 days his temperature normalized, and 2 days later after that the stitches were removed. 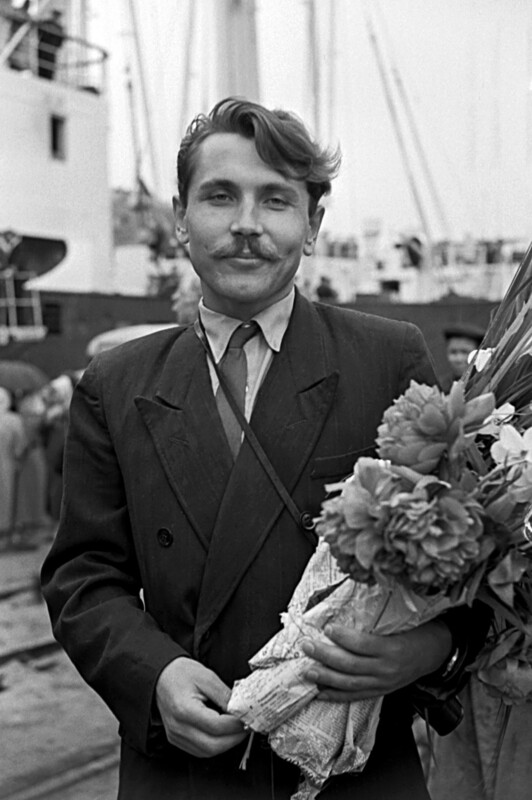 When Leonid Rogozov returned home, he was greeted as a real celebrity and national hero. He became popular not only in the Soviet Union, but abroad as well. Rogozov became the hero of articles, books, films and songs. Hundreds of people wrote him letters from all over the Soviet Union and other countries. For his courage he was decorated with one of the highest Soviet awards — the Order of the Red Banner of Labor — and was presented a flat in Leningrad. For some time Rogozov was even compared to the first man in space Yuri Gagarin, who embarked on his legendary flight just 18 days before the doctor operated on himself. 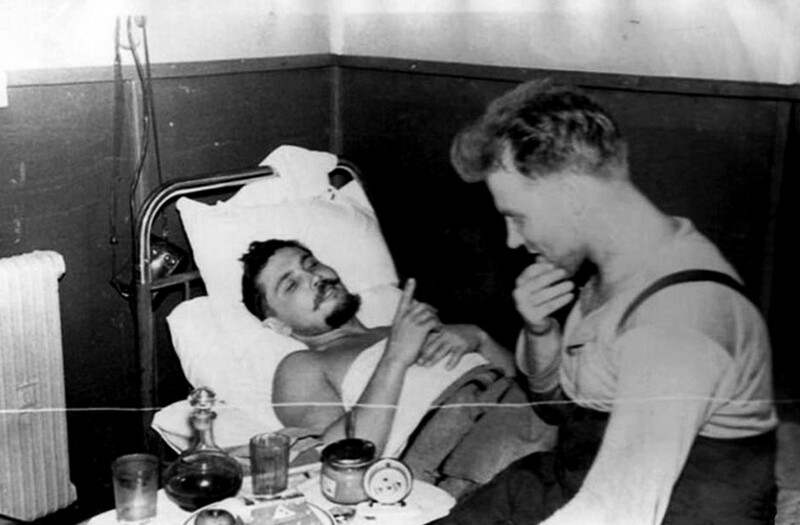 Rogozov wasn’t the first person to remove his own appendix but in the Soviet Union he was considered a pioneer. In any case, the conditions in which he performed the self-surgery were incredibly grim. "There was a strong parallel because they were both of the same age, 27, they both came from working class backgrounds, and they both achieved something that had not been achieved in human history before. They were prototypes of the ideal national superhero," said his son Vladislav. What other heroes does Russian history know? Find out here.